Dual wielding swords has never gotten easier. 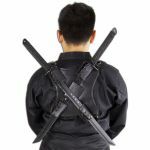 The Double Sword Back Holster gives you the ability to carry two swords with ease. Gone are the days when you would carry both your swords in your hand or even on your waist. 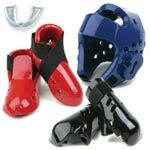 Now you can jump over walls, climb ropes, and even participate in hand to hand combat without those pesky blades getting in the way. 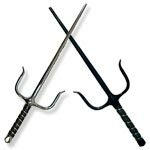 Whenever danger strikes or apples need cutting, you can quickly wield your two swords and vanquish all of your foes or slice some apples into bite-sized morsels. 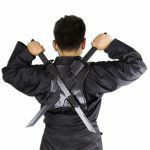 This sword holster conveniently sits comfortably on your shoulders like a backpack. The leather material makes this holster both light and durable. These double sheaths measure 9.5 inches by 10.5 inches, making sword transportation effortless and safe. 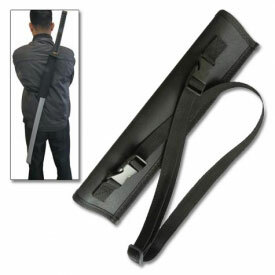 While this holster works perfectly with real swords. 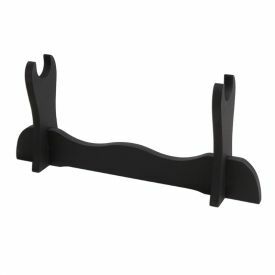 You can also carry costume weapons for Halloween or cosplay. 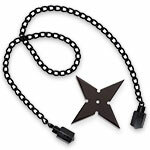 Impress your friends and enemies alike when they see how you wield and stow your swords. 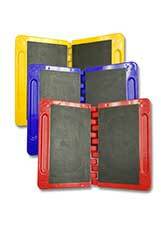 Made from a very thick and durable leather. 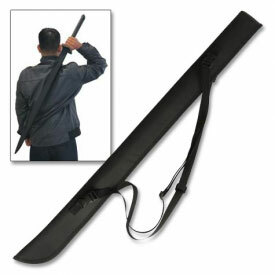 Perfect for katana, bokken, shinai, and costume swords.